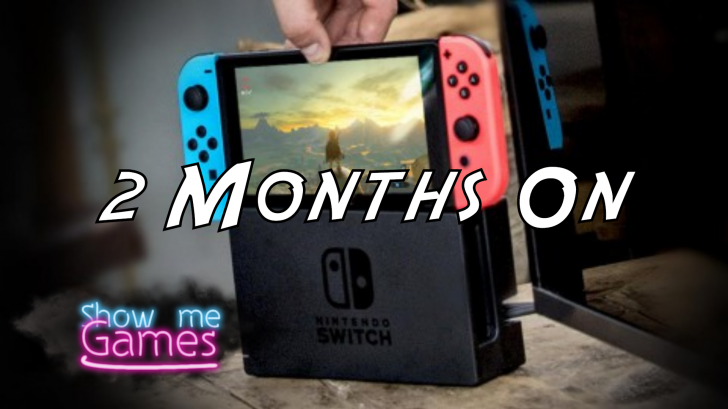 I thought for this next article I’d do something a little different and have a write up about the Switch and how it stands just over 2 months after the launch. Being an avid Nintendo fanboy all the week back to the NES days and having owned every system they’ve released I have somewhat of a solid opinion with this company and their products and unfortunately there missteps they’ve made over the years. This isn’t going to be like a standard review just more like a thought-piece looking at the good, the bad and all the rest of what the future holds for this new little experiment of a console. So let’s start off first with the launch. 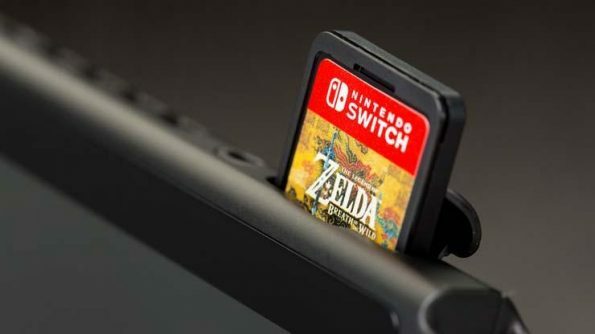 The system was launched on the 3rd March to a massive launch and has so far racked up 2.74 million units of the system sold with a surprising 2.76 million units of The Legend of Zelda Breath of the Wild also selling which means over a 100% attach rate so far for the newest Zelda game. These numbers are exactly the numbers Nintendo would’ve wanted right off the bat after the colossal failure the Wii U turned out to be. Working in a retail entertainment shop I see first-hand how quickly these systems are flying off the shelves, no sooner does one come in stock than it’s gone. Comparing that to the fact the Wii U’s just sat on the shelves for years and years this has been the launch that the Wii U should’ve received but poor marketing and a confusing name for casual players ultimately is the end story there. System and hardware time now! 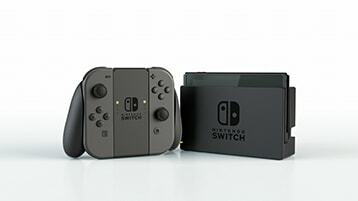 The Switch is quite a unique console compared to the rest in the market at the minute with it being advertised as a home-console/handheld hybrid which instantly gets people’s curiosity going. I have spent a massive amount of time so far on the system racking up close now to 90+ hours in Zelda among other games but my main state of play is playing the system in a handheld mode. As a handheld it is without a doubt the best there has been no doubt about it. It’s crisp, it’s sharp and looks and feels fantastic to hold. The same can’t be said all of the time when the system is docked for the home-console mode. The occasional frame-rate drop here and there and slightly less textured looks at times can be more jarring in this mode. It stills looks great but as a home-console machine it can’t compare to the other two players in the field. It would’ve been wiser to advertise this as handheld you can play on the big screen instead of a home-console you can make portable. It may only seem like a little petty marketing switch-up but I think it would do more good for the system in the long run and let it take its place in the right category it should be in. 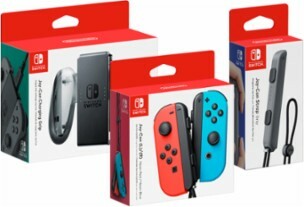 The Joy-Con controllers you use for the system are nice little pieces of hardware and though they may seem small they fit incredibly comfortably in your hands. They don’t compare to playing with one of the Pro-Controllers but at the moment for me not many controller options do. The HD rumble feature in the Joy-Cons is a nice touch and makes them feel super sensitive which not all rumble does and the fact I didn’t have to fork out another £50 for a second controller is a good thing to me! Let’s talk games now! Is there enough games on the system? Everyone knows at this point the big flagship game is Breath of the Wild and for a flagship game carrying the system so far you really cannot go wrong with this future Game of the Year contender but is there anything else of note on the system so far? We’ve just had Mario Kart 8 Deluxe release and after diving back into this game it’s still as fantastic as the Wii U release was. Playing this game handheld is a nice bonus for me to with preferring the handheld mode and they added Battle Mode sections are a nice touch. I would’ve liked to keep my stats from the Wii U version considering I probably put more hours into that game than any other on this generation but again this is Nintendo and they don’t do things the simple way. Other than that we have had a plethora of indie games mainly on the system and very few new retail releases. I’m just going to fire off a few little thoughts about some of the smaller games I’ve played now on the system instead of diving heavily into them or else I would be here all day and some frankly don’t deserve that much time off me. 1-2 Switch – the less said about this the better, a complete rip-off of a retail title and just a glorified tech-demo. What I played in the pre-launch event I went to seemed fun in small bursts but after buying this full price at launch this should’ve been bundled in with the system as this is not a full game by any stretch of the imagination. Super Bomberman R – again a fun little title but not a full price retail game at all, not much has changed in the Bomberman series for this to justify the price they charged for the cart. My recommendation would be just to play the SNES or N64 versions instead if I had to choose. On the indie front they have scored much better. Shovel Knight: Spectre of Torment – for a timed platform exclusive this is quite possibly the best ‘indie’ so far on the system. 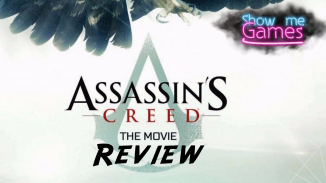 A nice little different take on the original game by having the exact same levels with a new character with new mechanics and enough twists to keep it fresh and something new. A must buy easily. FAST RMX – a re-release from the Wii U and one of the best racing-sims in a long time not called Mario Kart. A true spiritual successor to F-Zero and a fantastic pick up and play title. Snake Pass – one of the strangest games I’ve played but incredibly fun and highly addictive. Think Frogger with a snake and you’re not far off with this puzzle explorer. This is hands down a contender for Indie Game of the Year for the simplistic brilliance of it. The future for the Switch is a hard one to predict. With a successful launch you would assume it would be clear sailing for Nintendo but as previous consoles have proved anything can happen with these guys whether good or bad. You only need to look at the Wii U and Gamecube as examples; they both had some stellar games but ultimately got lost in the shuffle of the big players of the market. We have had some clear big hitters released so far game wise with some more promising ones for later in the year like Mario Odyssey and Xenoblade Chronicles 2 but ultimately even still the line-up for 2017 whilst having some strong games does still look a little barebones. What Nintendo ultimately announce or don’t announce at E3 will be telling for what the future holds for the Switch. Will we get a new Metroid after years of waiting? When will the Virtual Console finally appear on the system? What exactly does the new paid-online service actually entail and mean? These are questions that shouldn’t really need to be answered straight away but with Nintendo’s past history of murky communication and strange business moves it can make you hesitant even as a huge fan of the company. 2 months in and it’s going well so far but whether they keep this up is anybody’s guess at this point. For me if I were recommending a new system to people I would 100% recommend a Switch for Zelda and Mario Kart alone. Is that enough for some people? 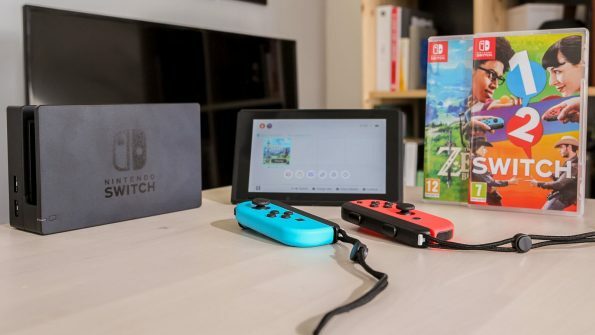 Sure, for me I have found it increasingly difficult to go back to the PS4 after the Switch and found myself getting more and more bored of the home-system setup in favour of playing more high-quality games in handheld mode on the Switch. If they can keep up the level of games like Breath of the Wild for the handheld market this could be a clear rival for the Sony’s and Microsoft’s of the gaming world but if they fall into the Nintendo pattern of mainly producing smaller indie style games we could end up with another Wii U. Taking into account the different pro’s and con’s throughout this piece it’s clear the Switch is a nice addition to the console market with some great games but still with work needed to be done to be taken seriously as a competitor.